Even though Mississippi drivers have been required to have automobile liability insurance since 2000, estimates show that as many as 25% of drivers in Mississippi are uninsured – one of the highest percentages in the country. An even higher percentage of drivers that do have insurance – over half – only have the minimum amount of liability insurance coverage required by law ($25,000 per person, $50,000 per accident). Unfortunately, distracted driving is on the rise – and many wrecks cause innocent drivers or passengers to suffer injuries and damages and incur medical bills far in excess of $25,000. A driver whose negligence causes a wreck that results in someone suffering injuries and damages greater than the amount of insurance the negligent driver carries is referred to as an “underinsured” driver. With such a high percentage of uninsured and underinsured Mississippi drivers on the road, it is important to make sure we have complete coverage to protect ourselves and our loved ones in the case of an accident caused by someone else’s negligence. 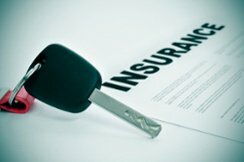 What is Uninsured/Underinsured Motorist Coverage and How Does it Work? Uninsured / Underinsured motorist coverage means our insurance policy will provide compensation to us after a wreck even if the at-fault driver does not have enough liability coverage to cover the cost of our damages. We can purchase “uninsured” and/or “underinsured” coverage from our own insurance company to fill the gap between insurance available to a negligent driver (if any) and the cost of injuries we suffer as a result of that negligence. This coverage, often referred to as “UM” or “UIM” coverage, allows us to collect compensation from our own insurance company after a wreck if the at-fault driver is uninsured or does not have enough liability insurance to cover our damages and losses. UM/UIM coverage is relatively inexpensive when compared with the cost of liability insurance. Most companies will sell UM or UIM coverage with limits up to the amount of liability insurance we carry. What’s more, in Mississippi we are allowed to “stack” our UM/UIM coverage if we have more than one vehicle in our household insured. For example, if we have three vehicles insured with UM/UIM limits of $50,000 per person / $100,000 per accident, those three policies “stack” so that if we are in a wreck with an uninsured and/or underinsured driver we will have up to $150,000 per person and $300,000 per accident of available UM/UIM coverage. What does UM/UIM Coverage pay for? It’s important to have complete insurance coverage to protect ourselves and our families against uninsured and underinsured drivers. In the event of a wreck, you may need an experienced Mississippi auto accident attorney to help you determine your insurance rights, and to help you recover all the compensation that you have a right to receive. If you or a loved one have been in a wreck with what you believe may be an uninsured or underinsured driver and have questions about your rights, call Van Cleave Law. Our experienced legal team has experience working with all types of accident and insurance cases, and consultations are always free. Van Cleave Law can begin to evaluate your case today.